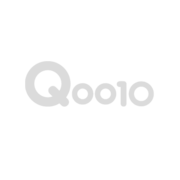 Login to your buyer account: MyQoo10 > Shopping List > Cancel/Refund/Non-Receipt > Select “Cart No.” > Select “Return” or “Exchange” under ‘Apply & Remark’. We will assess the claim issue with the provided picture and inform on the progress. 1. Any return of exchange of items will be applicable within 7 days upon receiving of item. - Provide picture of item contents within the parcel package. - Provide picture of the parcel package with the delivery information. - Shipping fee will be incurred from seller end. - Provide picture of the defective area of the received item. - Would like to change to other available products or does not want the item anymore. - Item must remain in their intact condition, or otherwise unused with their original packaging/tags/labels/seals attached. - Provide picture of the item to seller end. - Shipping fee will be incurred from buyer's end. May I know the country the Ferrari watch are made? Ferrari are made in italy.